Matthew T. Scott and Julia Green were married in Danville, Kentucky, in 1859. Before their marriage, Matthew had purchased 1,300 acres of untilled farmland in Chenoa Township, near Bloomington, Illinois. Julia was attending a finishing school in the East. Moving to Chenoa, Julia Scott proved to be a good pioneer beside her husband. Matthew was not a spectator of business practices, but rather a high-minded, far-seeing businessman who developed resources and built up prosperity in the community. 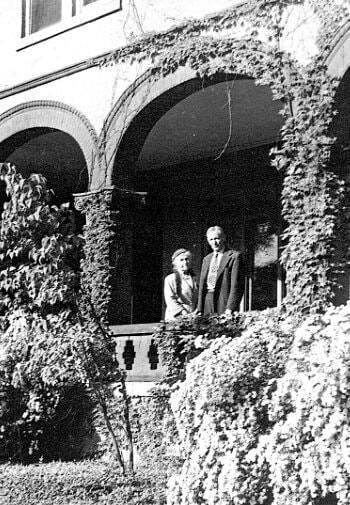 Matthew and Julia Scott’s home in Chenoa was the site of Julia’s sister Letitia Green’s wedding, when she married Adlai Stevenson, future Vice President of the United States under Grover Cleveland. In 1873, the Scotts purchased their 17-room Illinois mansion, which was built in 1869. An 18-room addition, designed by Arthur Pillsbury, was constructed in 1900. After being widowed in 1891, Julia became a forthright businesswoman, managing 8,000 acres of farmland, presiding over the family coal mine, and serving two terms as National President of the Daughters of the American Revolution. She continued to live in the home until her death in 1923. The Scotts had two daughters: Letitia (who was named after her maternal aunt Letitia (Green) Stevenson), and Julia. 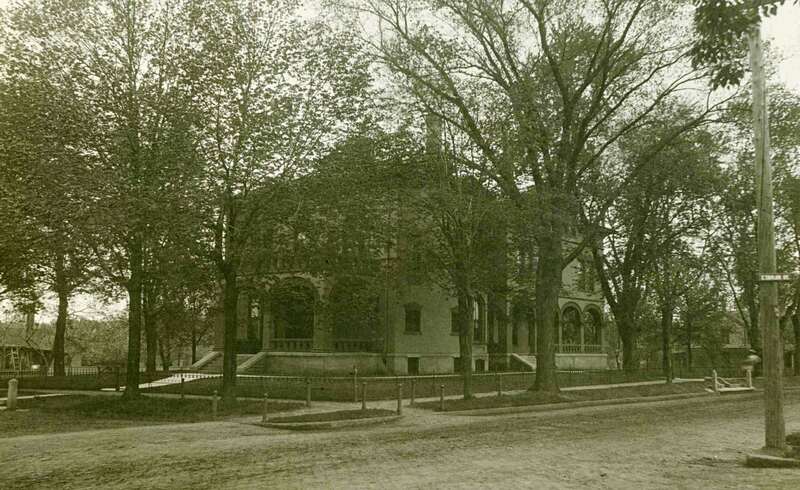 The Vrooman Mansion is a legacy of Matthew and Julia’s second daughter, Julia. Julia Scott Vrooman called the Vrooman Mansion “home” from her birth in 1876 until her death in 1981. The love of daughter Julia’s life was Carl Vrooman, who she met on the French Riviera. She declared that the most memorable moment in her life was when Carl proposed to her on a canal in Venice. Carl Vrooman was a writer and public debater. While serving as Assistant Secretary of Agriculture under President Woodrow Wilson, Carl promoted “War Gardens” and organized sending a million bushels of corn to the starving people in Europe after WWI — for which the Polish government decorated him. Though Julia Scott Vrooman conformed to her husband’s decisions, she was not afraid to verbalize her opinions to make her position known! The Vroomans’ circle of friends included political figures such as President & Mrs. Wilson, Franklin & Eleanor Roosevelt, Julia’s cousin Adlai Stevenson II, William Jennings Bryan, and many European Heads of State. 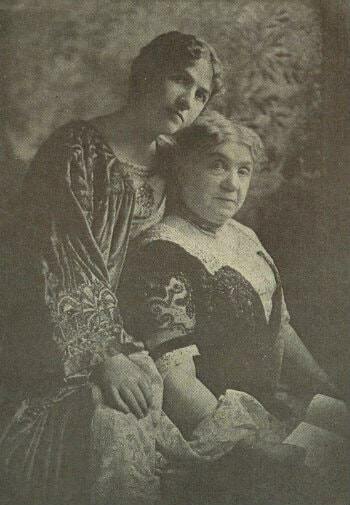 The Vroomans also socialized frequently with playwright Rachel Crothers, poets Sara Teasdale and Vachel Lindsay, and many Bloomington-Normal residents. A charming hostess, Julia loved to throw parties and disliked eating alone. She served her guests at the dining room table that is still used in the mansion today. Julia was famous for the ‘Vrooman bread’, which she sent to the Queen of England, Eleanor Roosevelt, and other dignitaries. Julia Vrooman was an unusual woman of considerable intellectual stature. She wrote newspaper articles, essays on European travels, and a novel, High Road to Honor. A deeply religious woman, Julia showed a genuine concern for the suffering of others less fortunate. Being very frugal and not having any children, the Vroomans were able to lavish their money on charities they deemed worthy. When the armistice between the Allies and the Germans to end WWI was signed, Julia could be seen traveling through Europe across shelled roads in a motorcycle sidecar. She organized and played in a jazz band throughout the zone of American occupation and held “cocoa parties” for homesick soldiers from Illinois. Just prior to their 70th wedding anniversary, Julia’s beloved husband Carl died at the age of 93, and Julia was left to carry on alone. Her vitality and determination continued until her death in 1981, in the same room where she was born. Living to be almost 105, she would have been well qualified to tell of the history of the home and the prominence of the family. When the Scott-Vrooman era came to an end, all contents of the home were sold at a public auction. Ninety-five percent of their $5,000,000 estate went to churches and the needy. Having our wedding here a year ago was a beautiful experience. Being able to celebrate our 1st anniversary here has been a blessing. I find something new every time I am here; it allows me to dream and wonder what life would have been like when Julia lived here. We are blessed that this lovely time capsule is a part of our story and hope to continue the tradition.